Physical characteristics: The great blue heron is about 4 feet (1.2 meters) tall. It is the largest heron in North America. It is between 36 and 54 inches (91 and 137 centimeters) long from bill to tail and it weighs from 5 to 8 pounds (2.3 to 3.6 kilograms). Great blue herons come in two colors. The dark heron has mostly gray feathers, and the other one is completely white. 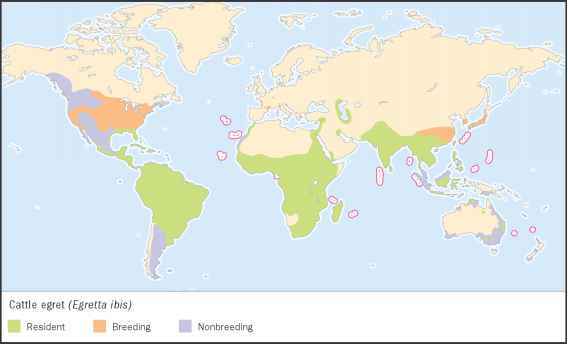 Geographic range: Great blue herons breed in most of the United States, except for mountains and deserts. They also breed in southern Canada and parts of Mexico. During the cold months, some of the birds migrate as far as northern South America. Habitat: Great blue herons live in many different kinds of habitats, from deep-water lakes to dry land. They can be found in both freshwater and saltwater marshes, mangrove swamps, seashores, meadows, flooded farm fields, and dry pastures. Diet: Fish, both large and small, are the main food eaten by great blue herons. They also eat other animals, including frogs, small mammals, shrimp and other crustaceans, reptiles, small birds, and insects. They feed mostly by standing still in the water or slowly stalking their prey. However they sometimes dive in and swim after fish and other water animals. 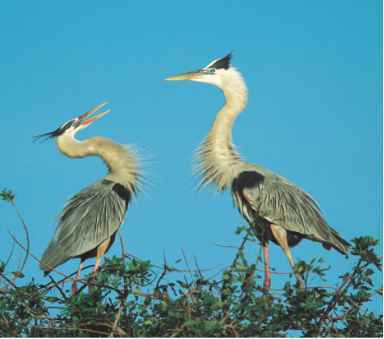 Behavior and reproduction: Great blue herons are noisy birds: they squawk and snap their bills loudly. 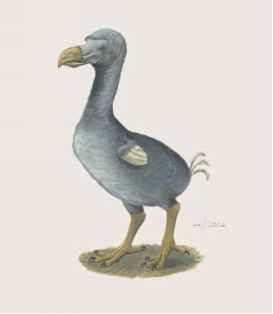 They nest alone or in small colonies and usually build their stick nests in tall trees near water. Their nests are as large as 39 inches (1 meter) across. Females lay two to seven eggs, but often only one or two chicks survive long enough to fly from the nest. Great blue herons and people: The great blue heron is the best known heron in North America. Most people are fond of them, except for the owners of fish farms. Great blue herons are the topic of some Native American legends. In one legend, the heron teaches people to stand on their own and have self confidence.